PS4 Vs Xbox One - Which Is Best For Blu-Ray? - Which? PS4 vs Xbox One - which is best for Blu-ray? We've tested the Sony Playstation 4 and Microsoft Xbox One alongside dedicated Blu-ray players. Find out which does the job the best. Thinking about buying a Sony Playstation 4 or Microsoft Xbox One, or already own one? Both have the capability to play Blu-ray DVDs, even if gaming prowess is their main feature, so we thought it only made sense to test them as if they were a stand-alone Blu-ray player. Who knows - they may well score better than some traditional players, which would make for excellent value considering their huge range of features. Below we reveal which of the two consoles best for the specific task of playing Blu-ray DVDs. Only logged-in Which? members can view our recommendations in the table below. If you’re not yet a member, join Which? to get instant access. This games console and Blu-ray player hybrid does a good job with playing Blu-rays, while sound quality is particularly strong - even when compared to a standard player. It's easy to use with clear menus and has a good choice of catch-up TV, video on demand and music apps. Find out which model this is - log in or try Which? for a one-pound trial. 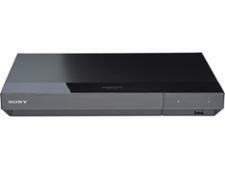 This games console and Blu-ray player combo does a great job playing DVDs, and Blu-rays look good, too. Picture quality is also spot-on when streaming video, there's a decent range of catch-up TV, and video on demand and music apps are available. Find out more - log-in or try Which? for a 1 GBP trial. 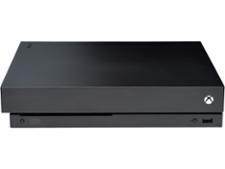 This Best Buy Blu-ray player offers excellent all-round picture quality, even for DVDs and 3D Blu-rays. Combining great performance and features with a price of £70-90, you could make a real saving - and a sound choice, too. Find out which Blu-ray player is a cracker - log in or try Which? for a 1 GBP trial. Not found the product for you? 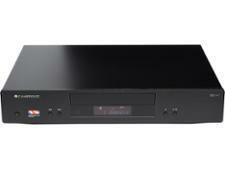 Browse all of our Blu-ray DVD player reviews. Should you consider a games console as a Blu-ray DVD player? The PlayStation 4 and Xbox One have come down in price so much since their initial release that, whilst they may not immediately come to mind, they are very viable purchases - even for those who don't care for gaming. Not only do they both play Blu-ray DVDs (or 4K Blu-rays in the case of the Xbox One S) but they both also support a wide array of apps, such as Netflix, Sky Go and Spotify. If you're looking for an all-in-one home entertainment centre a games console may actually be a smart way to go about it. You can even buy official remotes controls for both if you're worried about using the gamepad that comes with the console. If you're in need of both an internet TV box and a DVD player be sure to consider a PS4 or an Xbox One before spending more time and money than you need to. 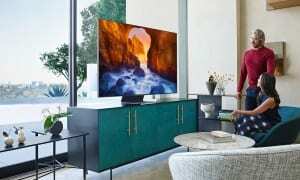 Sound bars vs home cinema & surround sound systems: which is best? Freesat vs Freeview: which should you choose? 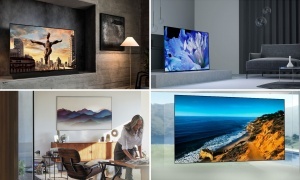 Picture, sound and ease of use – which TV brand does it best? 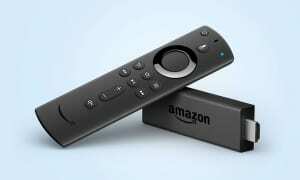 New Amazon Fire Stick with Alexa reviewed – should you buy an HD streamer? 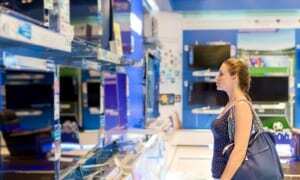 Is now the best time to buy a new TV?